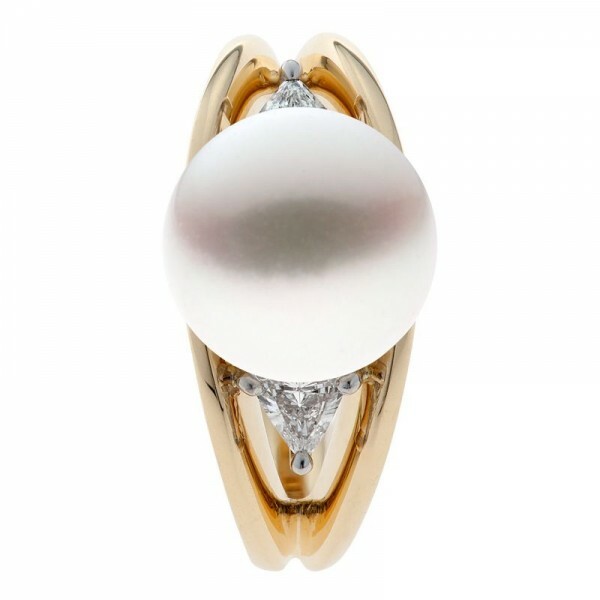 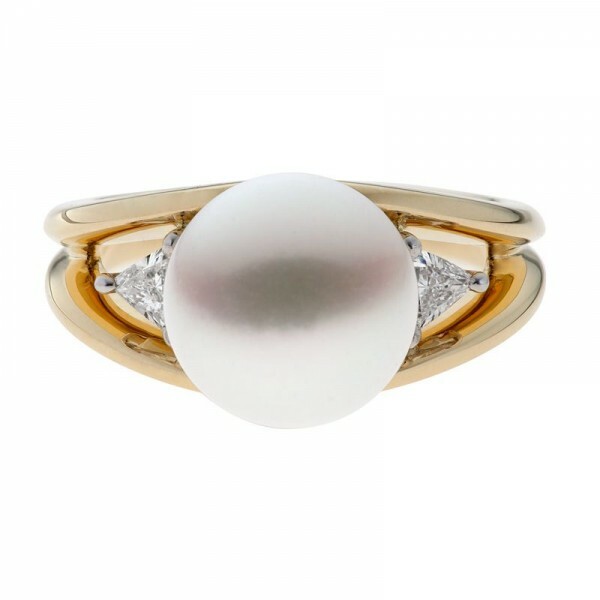 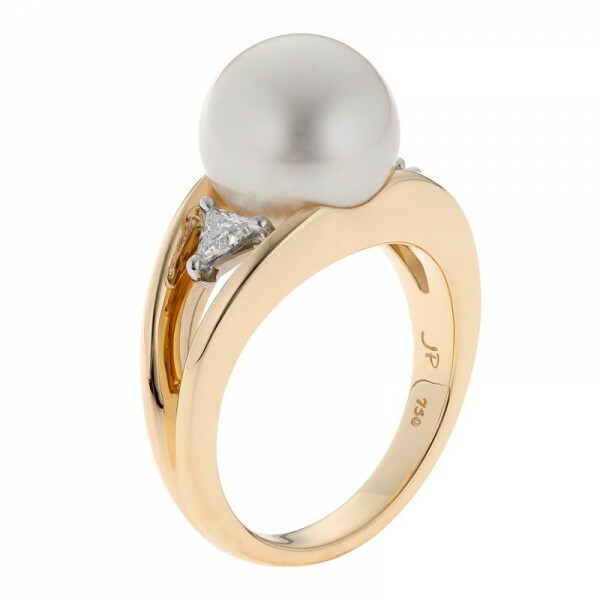 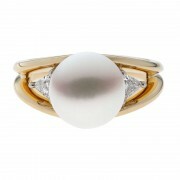 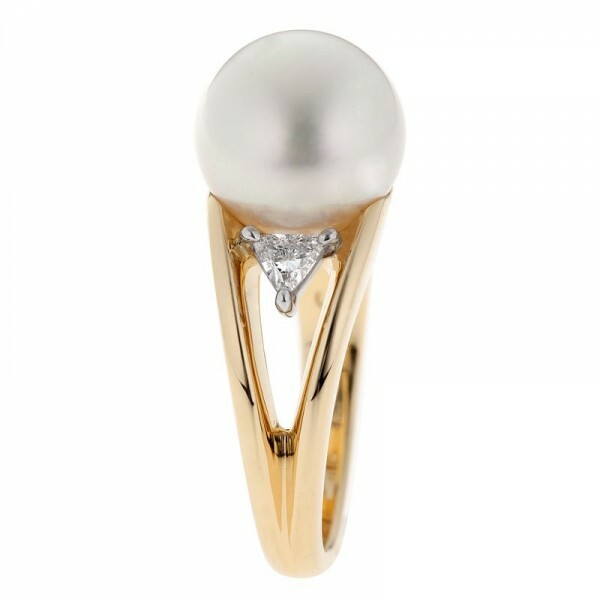 Trilliant cut diamonds add a modern, edgy finish to the soft curves of the South Sea pearl in this ring. 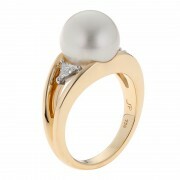 The split gold band allows for a more prominent style without the heavy feel of a solid band. 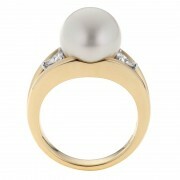 A little touch of white gold suspends the diamonds for a very striking finish. 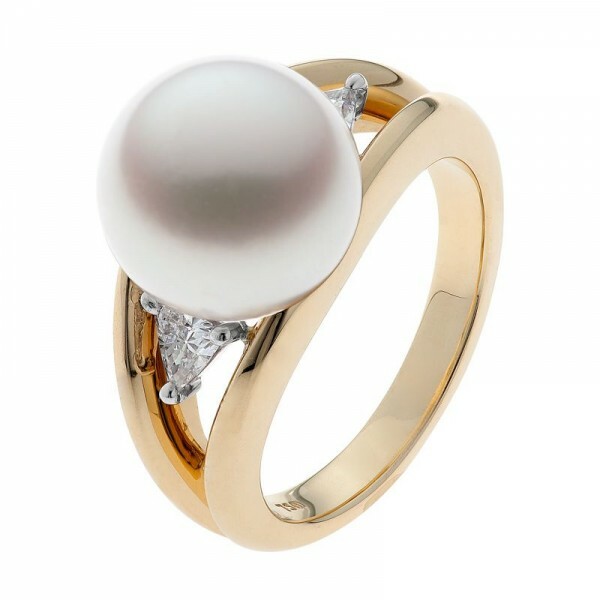 Expect compliments galore when you wear this ring!